Mother's Day is almost here and I'm ready! Honestly with all the graduation, new baby, wedding, and showers we have going on in this family lately it's hard to fit anything else in, especially another DIY project. But I'm on it and you can too... whip this up this weekend! 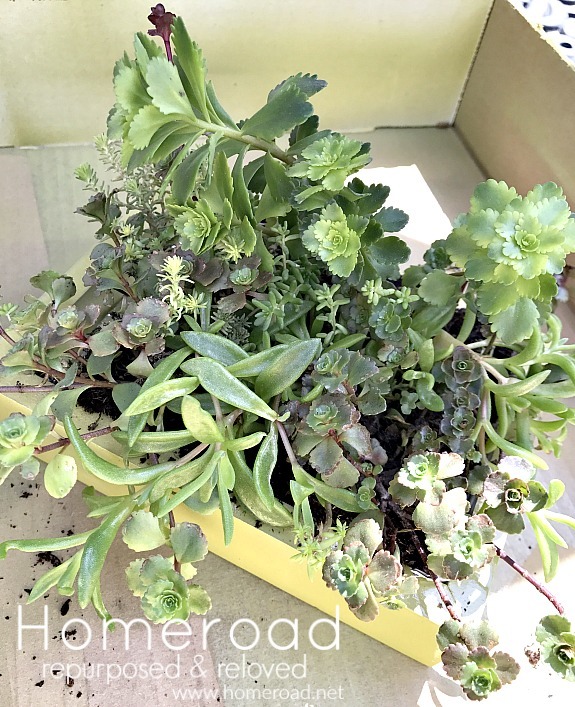 Succulents are a popular plant in this family so this year I will be making mini pallet planters for my 2 daughters and my Mom. 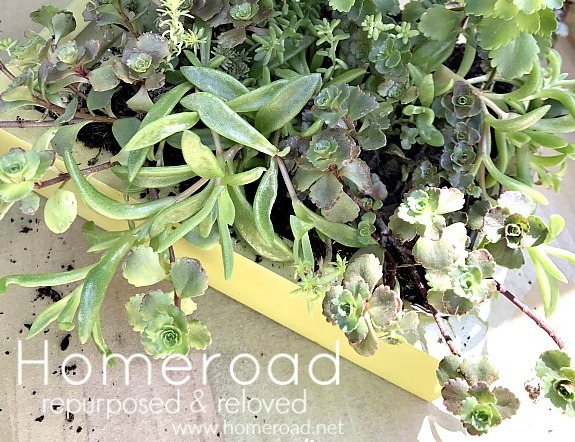 They are all plant lovers and while I love the DIY part of this project, I have trouble keeping anything green alive. See my real looking faux plant project. I started out where I usually do, repurposing something or another... this time my inspiration came from Marshall's clearance section. No I'm not giving them leftover Easter signs but I am going to use the back of these. Home Depot had the cutest pallets of succulents so I had an idea! 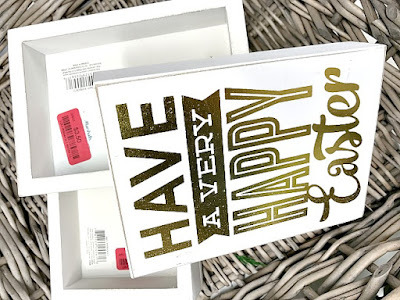 I brought the Easter signs home and spray painted them inside and out with a pretty green color. 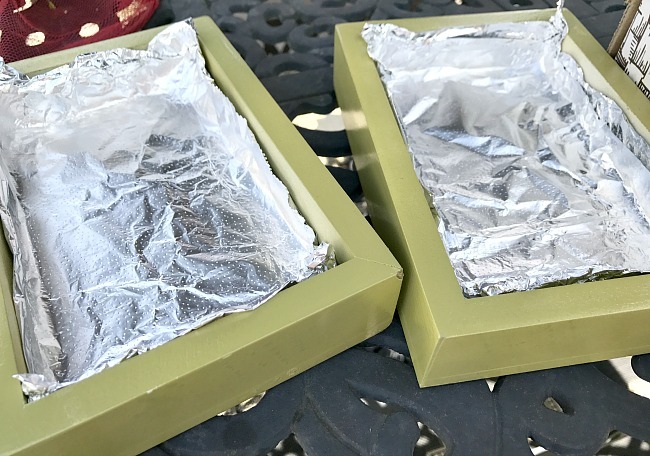 Then I lined them with aluminum foil. 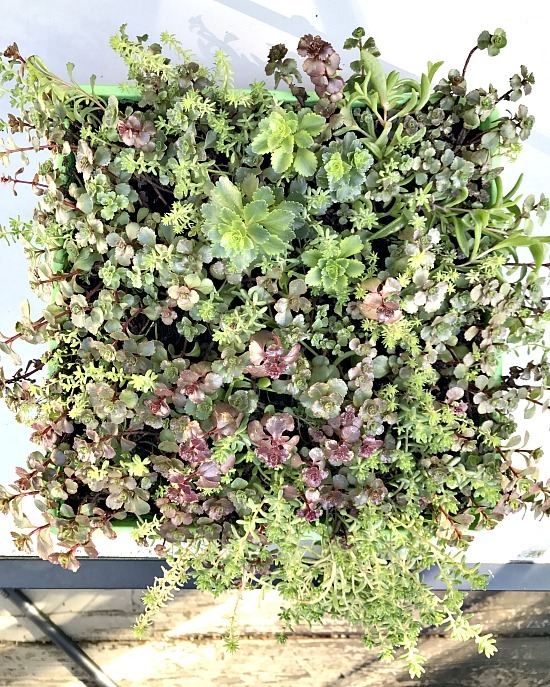 I cut up the pallet of succulents into quarters using scissors and placed one quarter inside each little green planter. 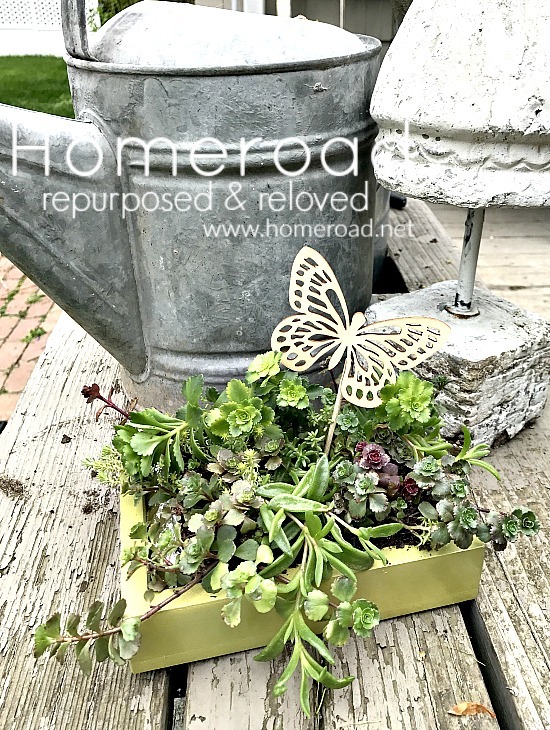 I added a small wooden butterfly to each planter and my DIY Mother's Day gift idea is complete. I hope they love it! new baby is on the way! 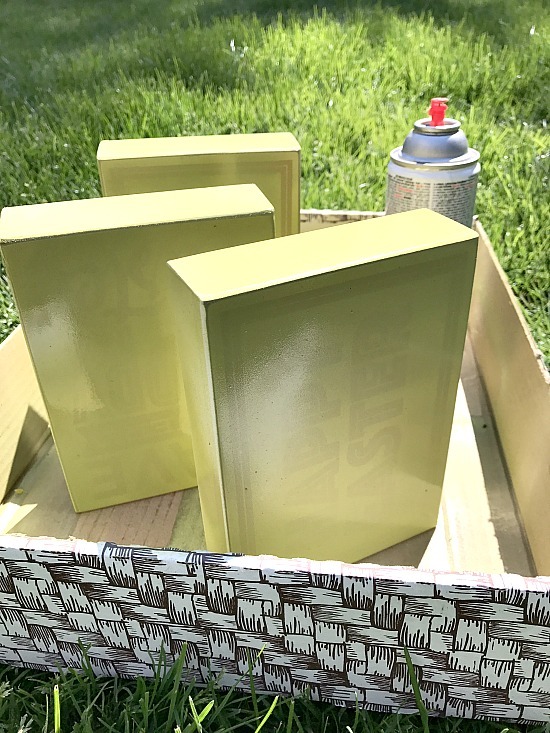 Mother's Day Project for Kids. Another Mother's Day Herb Garden. Mother's Day Crate for Flowers. A Mother's Day Tulip Tip. wow. you're not joking about spending all your time at celebrations! That is a most unusual planting box and such a good idea. Thanks for the inspiration. Thank you! Yes we have a very busy spring and summer this year! That's why I'm giving them away for Mother's Day Ivory. I have the same problem keeping anything alive!